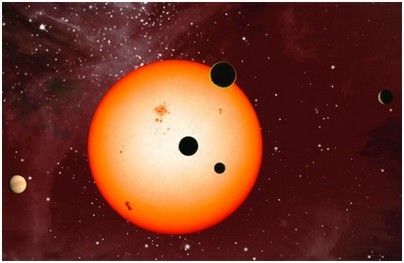 Scientists at the NYU Abu Dhabi Center for Space Science used observations from NASA’s Kepler mission and asteroseismology—the study of sound waves traveling inside stars—to determine with precision how Sun-like stars rotate, which no other scientific method has been able to achieve. “This is very unexpected, and challenges current numerical simulations, which suggest that stars like these should not be able to sustain differential rotation of this magnitude,” said Othman Benomar, research associate at the NYU Abu Dhabi Center for Space Science and lead author of the study published in Science. They derive deep conclusions from loosely related data. I’d like to know how the spin axis of these suns are oriented. All parallel and pointing in the same direction? Perpendicular to the disk axis of their galaxy? Random? Is the universe rotating? pochas says: is the universe rotating?